In January 2016, I left Google and struck out with a friend (Erik Schluntz from Harvard; formerly YC W'13, Google[x], and SpaceX) to pursue new business opportunities doing "something." We didn't know what (exactly) we'd work on... just that we planned to pursue a few interesting projects and see which ones would stick (eg. "Rapid Eval" or "customer development" process). We started out by evaluating a bunch of ideas across robotics, RFID, healthcare, pure-software, and various combinations thereof. After talking to a lot of customers across several industries, we found one opportunity that was so compelling that we had to drop everything and move full-force ahead. Enter Cobalt Robotics' Security Robots. We went from nothing to paid robot deployments at real customer sites in 12 months -- starting in April 2017. Today, we have a good number of robots fielded, with many more on the way. We are backed by prestigious, world-class investors (Sequoia, Bloomberg, and others), and we are scaling up all aspects of the business: signing on new customers, deploying robots, expanding our support geographies, and agressively hiring. Just check out some of our recent press articles: WSJ, CNBC, Wired, IEEE Spectrum, & Architectural Digest. Carpe Diem! In 2014 and 2015, I worked at Google[x] Life Sciences (now Verily). Google[x] is a Google lab that pursues "moonshots" in science and technology, and the Life Sciences group focuses on healthcare. 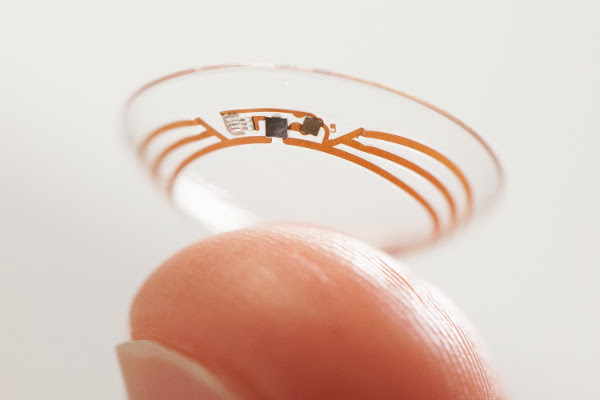 I was part of the microsystems group that developed contact lenses, such as the glucose-sensing lenses and "autofocus" lenses (both licensed to Novartis), and continuous glucose monitoring devices (licensed to DexCom). I primarily worked on new, non-public projects -- but unfortunately I can't elaborate due to severe confidentiality restrictions (Update: Some details recently published!). I was also an active participant on the Rapid Eval team that helps vet new Google[x] ideas. 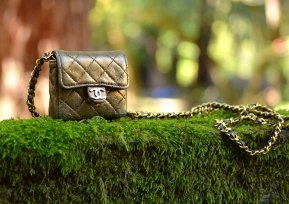 I was a co-founder of Lollipuff.com: an online auction and authentication service dedicated exclusively to women's designer clothes and accessories, where every item is authenticated by a team of experts. Lollipuff was part of YCombinator's winter 2013 (W2013) class.Though I departed from day-to-day operations in 2014, I'm still a board member, technical advisor, and occasional code contributor. 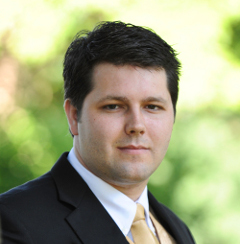 Prior to Lollipuff, I worked with my long-time mentor (Dr. Matt Reynolds) as a postdoc researcher at Duke University. I was supported by a prestigious NSF / CRA "Computing Innovation" (CI) Postdoc Fellowship. While at the Reynolds lab, I worked on cutting-edge backscatter wireless systems: wireless power harvesting and high-speed wireless data transfer akin to souped-up UHF RFID tags. My work focused on a software-defined radio receiver to decode (in real-time) the high-speed biotelemetry signals reflected by a custom neuro-telemetry chip. 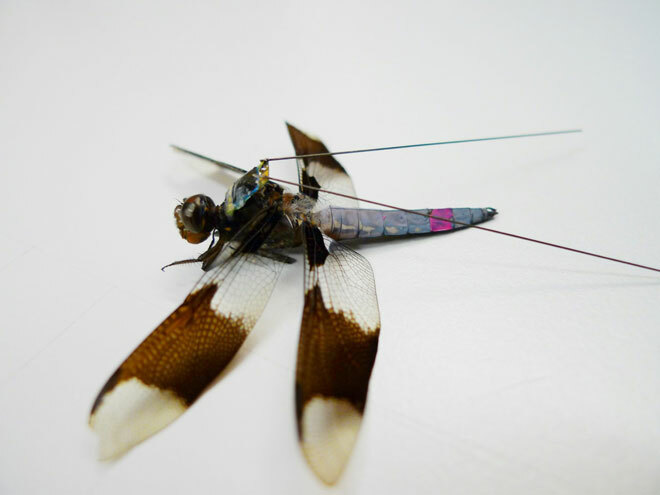 This system was designed to capture high-fidelity neural signals from a dragonfly in flight -- aka, a "cyborg dragonfly" (details on Wired). I worked in the Reynolds Lab from Oct. 2011 to Dec. 2012. I earned a PhD in Fall 2011 from Georgia Tech's School of Electrical and Computer Engineering (ECE). 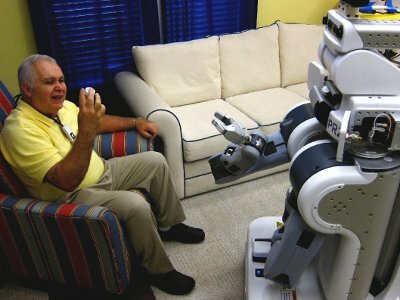 I was a member of the Healthcare Robotics Lab, where I studied under the tutelage of my advisor, Dr. Charles C. Kemp. My thesis was entitled, "Ultra High Frequency (UHF) Radio-Frequency Identification (RFID) for Robot Perception and Mobile Manipulation." I hold a MS from Georgia Tech (2008) and dual-BS with quad-majors (EE, Comp-E, CS, Math) from the University of Nebraska (2005). For many years / summers I worked at Sandia National Labs in Livermore, CA. You can find detailed information in my curriculum vitae (CV). 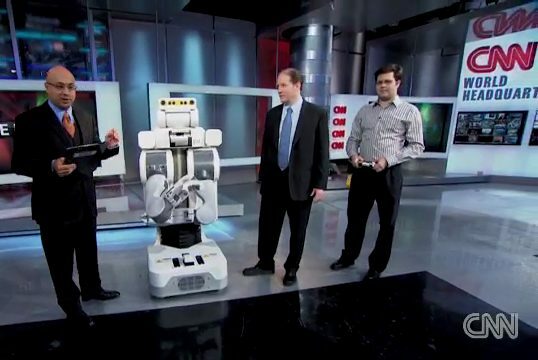 Back in October 2010, I appeared on CNN's "The Big I" segment. Apparently doing a live robot demo (autonomous and sensorized!) is something of a rare and gutsy move! You can read more about the experience and watch the video over at Hizook.com. 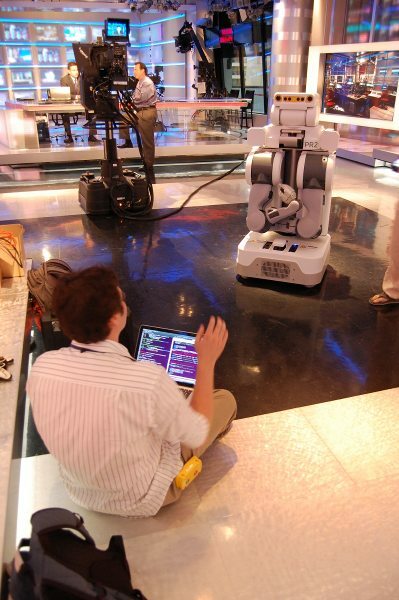 The producers requested some last minute functionality ("make the robot wave to the camera for the commercial break transition"), which resulted in some surreal robot programming sitting on CNN's news room floor... all while coverage of the Chilean miners crisis happens in the background. I founded Hizook.com, a robotics website for academic and professional roboticists. The website has ~30k unique monthly visitors, over 4 million cumulative YouTube viewers, and has been prominently featured on several major internet news outlets. I have been called "one of the world's top robotics bloggers" by IEEE Spectrum. I have a penchant for science fiction novels and films. Some day, I hope to pen a science fiction novel of my own, but in the meantime I maintain a massive library of scifi books (and I'm always on the lookout for new books / authors!). I am an avid reader -- consuming anything related to science, technology, and entrepreneurship. Welcome to my personal homepage! You can learn a little about me through this website or find many of my other writings at Hizook.com.